It took a while, but Traffic passed 200,000 downloads on July 16! 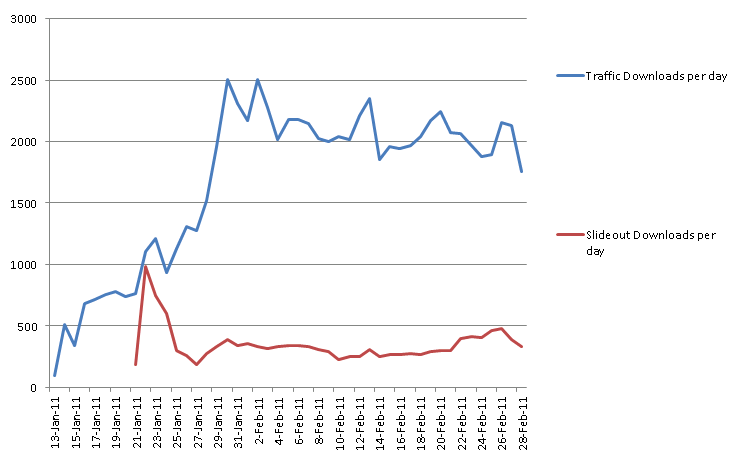 You can probably see that the downloads/day has decreased a lot. I think this can be attributed to the limited user base of Windows Phone, it’s almost impossible to maintain 1000+ downloads/day unless there are new users to keep downloading your app. Once there are some new phones released hopefully the downloads will pick up again. I haven’t been developing at home much recently because of some problems getting the Mango tools installed (not enough space left on my windows partition). I just reinstalled windows and visual studio and I’m hoping to get some work done this weekend. I will hopefully release some new levels in the next week. Since a few people have said they finished every level I thought it was time for an update. 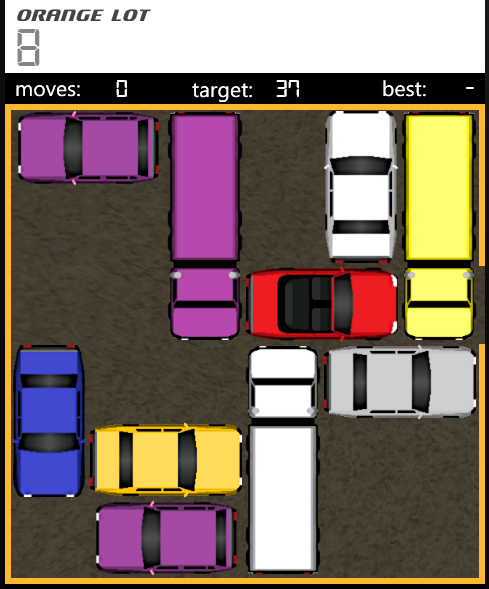 Traffic 2.0 has 120 more levels! Some of these are more difficult than any of the original levels. The other big change is that levels use a star ranking now, with 3 stars for a perfect score. I thought my original design was getting overly complicated with stars, check marks and borders. 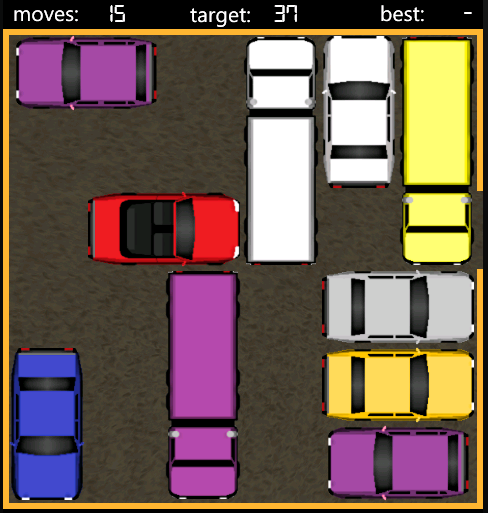 The graphics are also slightly improved, the vehicles have softer colors and some of the uglier colored vehicles are gone. The red car is now a convertible! I added a notification asking for a review after the 10th time you start the game, I’m hoping this will get more quality reviews in the midst of all the spam. Let me know what you think! I am still working on another game and have been making good progress recently. I’d like to update Slideout as well but the downloads for it haven’t been that great recently. 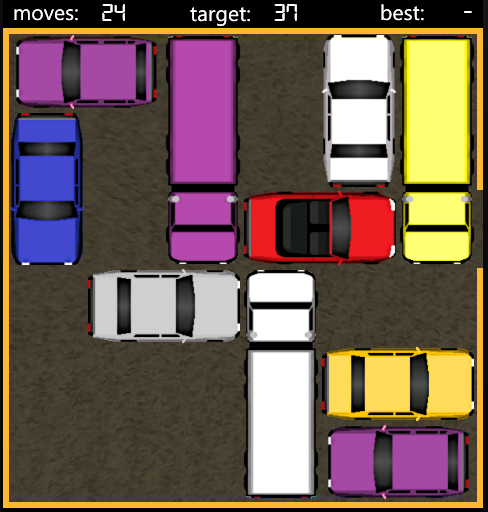 Since a few people have asked, here is a guide to solving Orange Lot 8 in the minimum number of moves. The game design looks a bit different because I’ve made a few changes to it. I should have a major update ready in the next week with more levels! 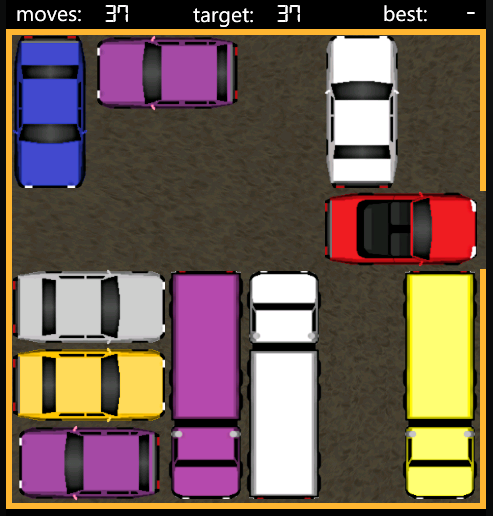 I hope you enjoy the latest update to Traffic, I added support for basic themes. The Smile theme was something I coded a while ago as a joke but I finally decided to put it in the game :). I get the occasional user concerned about why my games require owner identity, data connection and web browser. The web browser is so I can link to this blog, the owner identity and data connection are used by the advertisement. How do you know that I’m not taking your data and selling it? Well one reason is because I have no motivation to (I’m making plenty off ads), the other is because it’s all anonymous data. Apps get the “Owner Identity” requirement (ID_CAP_IDENTITY_USER) when they use the UserExtendedProperties Class. The only supported property available from this class is “ANID” (see MSDN). This property is for getting your “Anonymous Windows Live ID” so that you can be identified uniquely by the app. It’s quite possible that Microsoft’s advertising recognizes your phone from other apps you’ve used but it doesn’t actually have any personal information. If any of this information is incorrect please let me know :). Microsoft’s advertising also has the ability to use your GPS coordinates to target advertising based on where you live, but only if the app has “Location Services” enabled and shares this information. This is what my games used to do but I removed it when some users complained, I can understand why it’s a privacy issue. Thanks for giving me your feedback! 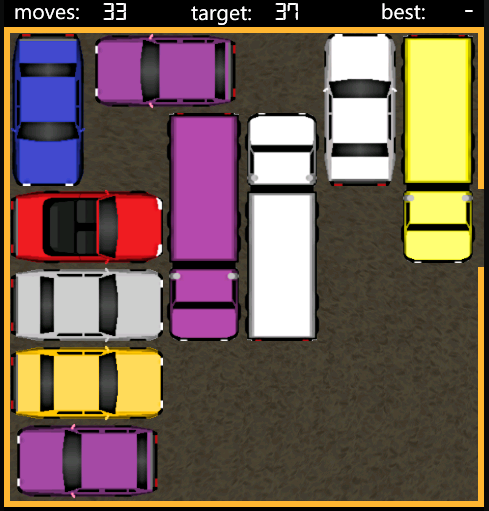 I finally released an update to Traffic. I addressed some of the complaints about the stars being too small and changed some of the levels that were very similar. 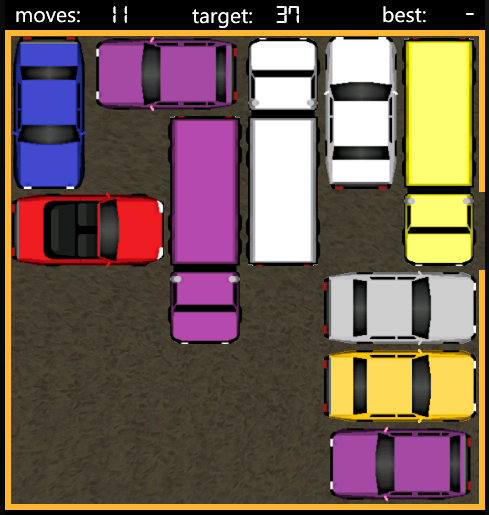 I didn’t realize that GTLevel (the level generator I used) will actually repeat levels once the move counts get too high. I think this is because there is a much smaller number of original levels with total move count over 35 so repeats happen more frequently. I updated the UI slightly to follow the WP7 guidelines better (24 pixels from the left, etc). I considered putting in more time to improve graphics and maybe add sound effects but I’m not sure how much this will actually improve the game. So let me know, would you enjoy playing these games more if there was better graphics and sound? Would you rather I work on new games or on improving my existing games? In total Traffic had 78569 total downloads at the end of February, 20667 in January and 57902 in February. About 68% of the downloads are in the US market. In the US market Traffic reached the top 10 on February 2, peaked at #6 and is currently at #7 . Slideout broke the top 100 in late February and has been around #90 for a week now. Like many independent WP7 developers I reached the conclusion that free games with advertisements are the best option. The ad revenue from Microsoft’s ad control has been great so I don’t think there is a good reason to make a paid version of my games. I know some people are willing to pay 99 cents not to see ads and I’m sorry that this isn’t possible. I don’t want to release a separate paid version since any user switching from free to paid would lose all their progress. I could use the trial API instead but I want my games to stay in the free section of the marketplace since this is where most people look for games. Hopefully the trial API will change in the future so it becomes a better option. I made some changes to the ads in version 1.1 to test more categories and change the ad frequency. The data is starting to come in, I’ll make a blog post about it in a few weeks when I have more to report. Again, thank you for supporting my apps and leaving positive reviews! I do read your reviews and appreciate your feedback. Traffic reaches #10 in WP7 US marketplace! I’m excited :). Thanks to everyone who downloaded and reviewed Traffic. On a side note, my guess is that market rankings are based on downloads in the last 30 days. I’m fairly certain there are apps ranked below Traffic that have more overall downloads. 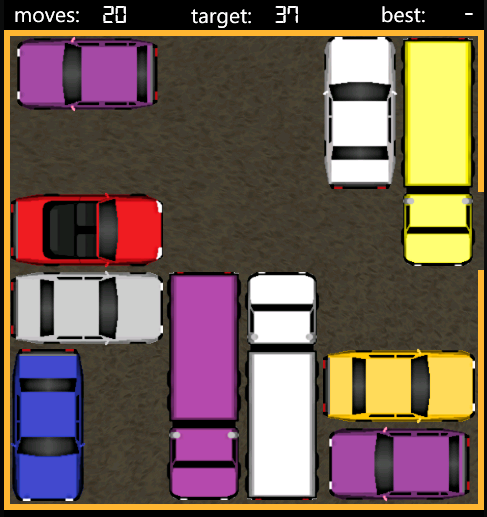 If you enjoyed Traffic you should try my other app Slideout. 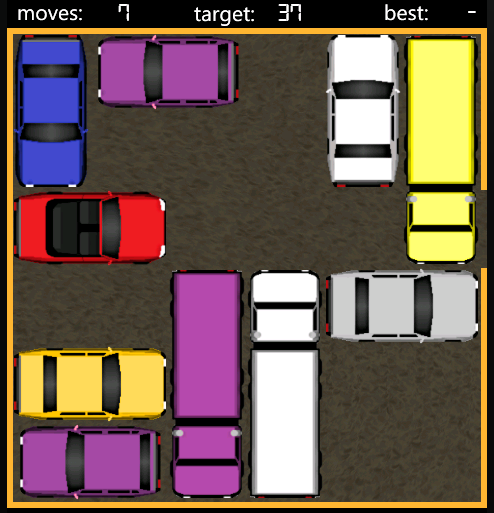 It’s a similar concept but the blocks move in both directions and the puzzles have a lot more variation. It’s a lot more challenging so be prepared to think. I actually decided to scrap my old app Sliders Klotski and release it again as a free app. It’s hard to get anywhere in the market as a paid app and I think part of the problem was the poor name and logo. I apologize to the 14 people who bought it. In contrast Traffic is doing well. The stats are just coming in now and it’s averaging a few hundred downloads each day. Thank you to everyone who downloaded it and wrote reviews, it’s very encouraging for me. I’m going to work on some updates soon so don’t remove it yet! I also have plans for a third app which I’m going to start on this weekend. Please subscribe to this blog to keep up to date with any new updates or releases!